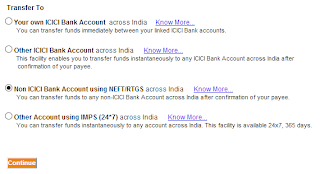 If you want to transfer money from your ICICI Bank Account to Other Banks, Please follow the below steps. 1. Login to ICICI Bank Website using your User ID and Password. 2. Click on "Fund Transfer" link on left-top side of the website. 3. Select any one from the given "Transfer To" choices according to your need and click on Continue button. 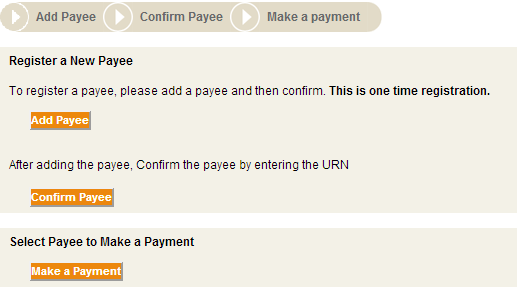 4.Now click on "Make a Payment" button. 5. Select the Payee from the list. 6. 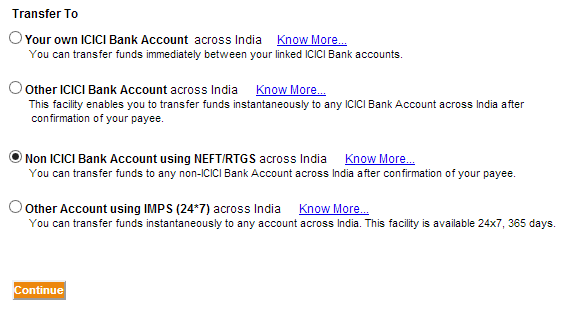 Now click on "Make payment through NEFT/RTGS" button. 4. Enter the Amount that you want to transfer in "transaction amount" field and enter the Transaction Remarks. 6. Now enter your Transaction Password. 7. Now bank will verify some details from your ICICI Debit Card by asking corresponding number available on the back side of your grid based Debit Card. Please enter it correctly. 8. Now click on OK button. 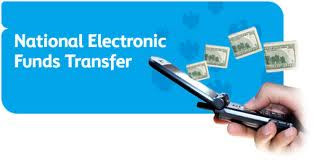 Immediately You will get a message that Transfer done successfully.